Oh Em Gee Veggie Burgers from my new cookbook! Hubba, hubba, now that’s what I call a veggie burger glam shot! Served with rippled sweet potato chips and a dill pickle, what else could you want in life?! Today I’m so excited to share one of my favourite recipes straight from my new cookbook, Oh She Glows Every Day! The countdown to the release is onnnnn…this Saturday September 3rd in Canada (including Indigo, Costco, and more! ), and Tuesday September 6th in the US. I honestly can’t believe it’s almost here, and I can’t thank you enough for all your support and excitement. Don’t forget, if you order online or pick up a copy in-store before September 13th, 2016, you can snag my OSG Every Day Bonus Recipe Bundle which has 7 brand-new recipes (not found in the book or blog), and 4 preview recipes from the book. So much recipe goodness going down! I’m also hosting a fun Insta giveaway for a signed copy of both Oh She Glows Every Day and The Oh She Glows Cookbook! One lucky winner will receive a signed copy of both cookbooks, mailed straight to their doorstep as a special gift from me. Please see my Instagram post for all the deets. Okay, now let me talk about these veggie burgers for a hot second. They are my newest veggie burger addiction. I tested a ton of them for this second book (you know I take my veggie burgers seriously) and these are the ones that everyone—kids, husbands, veggie-burger skeptics—loved. I hope you’ll gobble them up, too! 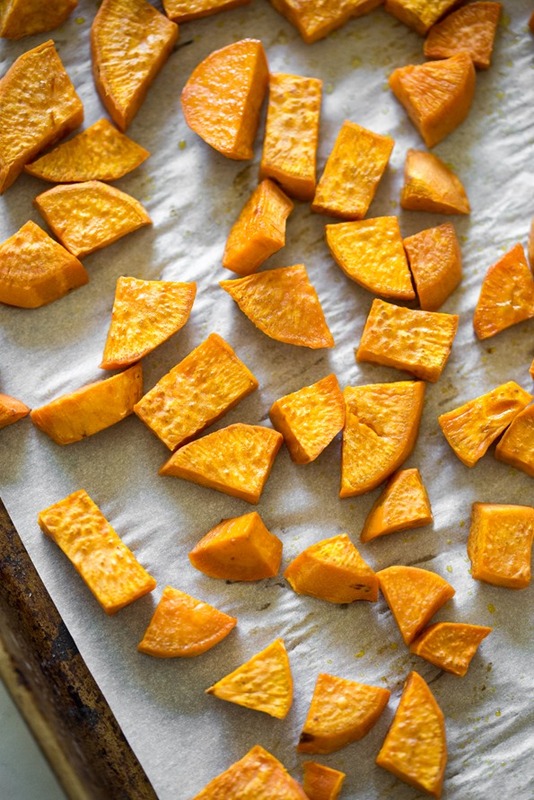 Packed with sweet potato (or butternut squash—your choice! ), black beans, barbecue sauce, garlic, and an array of flavorful spices, this veggie burger bakes up perfectly and holds together well. I’ll admit these burgers are a bit involved to prepare, but I think the work is worth it, because this recipe makes a big batch, enough for 12 patties, which you can freeze for later. To save time, I recommend roasting the sweet potato, toasting the walnuts, and making the 9-Spice Mix in advance. Also, be sure to chop all the ingredients very finely and evenly, as this will help the patties hold together. I always recommend that you read the entire recipe before you begin, but this is especially true here since there are quite a few steps. This recipe is from Oh She Glows Every Day. Reprinted by permission of Penguin Canada, a division of Penguin Random House Canada Limited. Preheat the oven to 375°F (190°C). Line an extra-large baking sheet with parchment paper. Peel the sweet potato and cut it into 1/2-inch cubes. You should have about 4 cups. Spread the cubes over the baking sheet and toss with 1 tablespoon of oil. Season with salt. Roast for 15 minutes, then flip and roast for 15 to 20 minutes more, until fork-tender. In a large skillet, toast the chopped walnuts over medium heat for 5 to 6 minutes, until fragrant and lightly golden. Transfer the walnuts to an extra-large bowl (trust me when I say extra-large as there is a lot of dough to mix). In the skillet, heat the remaining 2 teaspoons oil over medium heat. Add the onion and garlic, stir to combine, and sauté for 3 to 5 minutes, until softened. Transfer to the bowl with the walnuts. Measure out 2 lightly packed cups of the roasted sweet potato and transfer to the large bowl. With a fork, mash the potato into the other ingredients in the bowl until the potato is almost smooth. Add the 9-Spice Mix, salt, parsley, barbecue sauce, bread crumbs, and oat flour to the bowl. Stir until thoroughly combined. You can knead the dough together with your hands if that’s easier, or just keep stirring (it’s a great arm workout!). Taste and adjust the seasonings, if desired. Scoop a heaping 1/3 cup of the dough and shape it into a round, uniform patty, packing it tightly as you rotate the patty in your hands. Place the patty on the lined baking sheet. Repeat to make 11 or 12 patties total, setting them at least an inch apart. Bake for 15 minutes at 375°F (190°C), gently flip with a spatula, and bake for 10 to 20 minutes more, until firm and lightly golden. Cool on a cooling rack for about 10 minutes before serving (this helps them firm up). Serve the patty in a bun along with your desired toppings. We love the combo of vegan mayo, BBQ sauce, avocado, lettuce, and tomato! Let any leftover patties cool completely before storing in an airtight container in the fridge for up to 3 days. You can also wrap the patties individually in aluminum foil, place in a freezer bag with the air sucked out, and freeze for 3 to 4 weeks. Thaw completely on the counter or in the fridge before reheating in a greased skillet over medium-high heat for a few minutes on each side. Tip You will need 2 cups of roasted sweet potato (or butternut squash) for this burger recipe. Any leftover roasted potato or squash can be served alongside the burgers, so feel free to make extra. Make it gluten-free Use gluten-free bread crumbs instead of spelt bread crumbs. Make it nut-free Use hulled sunflower seeds or pepita seeds instead of walnuts. Make it kid-friendly Shape small patties and serve them on slider buns. They are the perfect size for precious hands! You may also consider reducing the spice mix slightly depending on how much your kids enjoy spice. This recipe hasn’t been posted to the Oh She Glows Recipe App yet since I have to shoot a new photo for it, but it will be coming soon! Also, just a heads up that there won’t be a Friday FAQ post going up this week. Unfortunately, my little one is quite sick so I don’t think I’ll be able to get to it. Thanks for your understanding. These look amazing! I can’t wake to try them out. Thanks for a peek inside the new book! I had my very first veggie burger this summer (bought frozen from a big box store) and was blown away by how tasty it was. I’m not strictly vegan but am moving in that direction as I can see a plant-based diet is the way to go. So I can only imagine how much better your burgers are for you and too taste. Eager to try this Labor Day!!!! Was also reading that 15-18 vegans can eat using the same amount of land it takes one person to eat the standard American Diet! Wow. I also like vegans because overall, I find most of them are not judgemental, they just encourage you (what we all need!) to move in that general direction. And they provide the support you need. I hope you enjoy the burgers this weekend, Laura — have a great Labor Day holiday! Yeah I tried a veggie burger from Burger King a long time ago and was totally blown away at how good it was too. I’d argue it’s even better than a regular burger. It’s a more interesting flavor at least. Wowza, ok, this looks awesome!! These look absolutely divine! 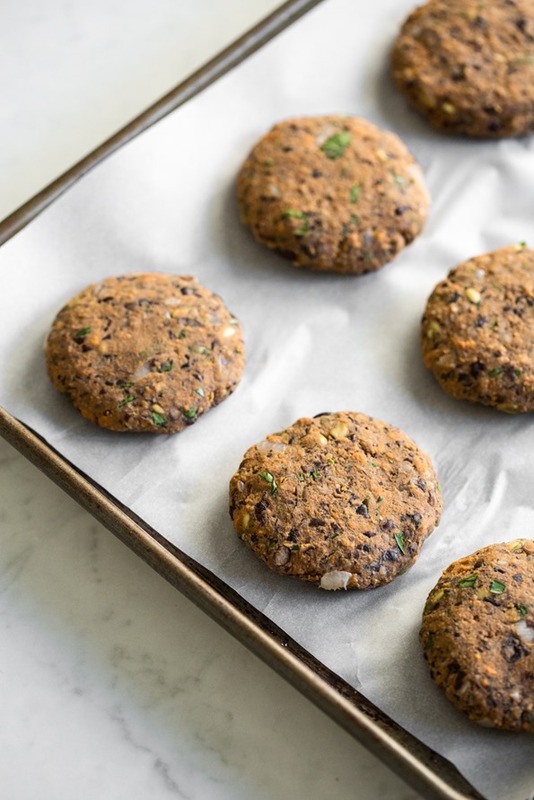 I recently made some black bean burgers I love and this looks like a great alternative! These looks so good! I definitely need to try these this weekend! Love that you use oat flour! If you give them a try, I hope you love them as much as we do, Amanda! Wondering – will these hold up on the grill??? I’m looking for something that can hold up to a grill as my parents love making hamburgers and I need an alternative for my husband and myself :) Thanks! These burgers look quite similar to the ones in the first cookbook, and I can definitely vouch for them being great on the barbeque. I don’t prebake them, I just put the raw patty straight onto the grill and it works out everytime! These look good but I probably won’t make them because they seem so complicated to make! I was under the impression that your new cookbook was titled “Every Day” because the recipes were going to be simple and quick to execute- is that not correct? Just wondering because I haven’t ordered it yet, and although I used to enjoy time-intensive recipes and kitchen projects, my current season of life just doesn’t allow for it. Thanks in advance for your response and good luck with the launch! Hey Amy, You’re absolutely right: the recipes in Oh She Glows Every Day are meant to be convenient, easy, and accessible! That being said, alongside the super quick recipes are some more elaborate or involved recipes for special occasions; the Oh Em Gee Burgers lean toward that end of the spectrum. I find the initial work is worth it, though, because the burger recipe makes a big batch and so you’ll have plenty of leftovers to save and freeze or enjoy for the next few days which saves time for future meals. I hope this answers your question! Thanks for your response- Please keep us updated if you have other bloggers do a book review and they include sample cookbook recipes that more accurately represent the quick and easy focus of the book- then I can get a better idea whether the book includes recipes I’d be interested in, and whether or not I’d like to purchase it! Thanks! Stay tuned for my review! I am featuring a recipe that is definitely easy to make and full of simple ingredients! 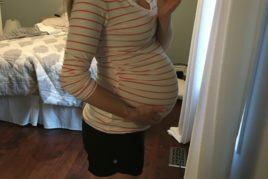 I was very very lucky to ge a recipe tester for Oh She Glows Everyday … I have two teen sons plus a home daycare with 5 precocious toddlers and I was able to prepare and cook an iverwhelming majority of the amazing recipes quickly and easily. There are smoothie bowls for breakfast, topped with a yummy granola that is prepared once and enjoyed for weeks on top of the bowls or with milk of your choice. Sweet potato breakfast hash comes together quickly and you can get ready for the day ahead while irs roasting and filling your home with warming scents. Lunch…there are soups that cook quickly and freeze perfectly to take for lunch or eat another day as well as a warming lentil stew. Sundried tomato basil pasta and the big tabbouleh bowl take just a few minutes more but are soooo worth it! If you don’t prepare and serve the big chili cheese nachos at your next get together, you and your guests will be missing out! Mac and Peas is a huge hit st my house every couple of weeks…the sauce is made very quickly with veggies and is such a nutrient dense option for families. There are savoury curries and much more that are simple and fast but also a shepherds pir that is decadent and worth the time! Desserts? Yup! Angela has developed desserts that are whipped together in minutes and finsh off in the freezer. Too simple. My daycare moms were begging for the recipes and almost mutinied to get the Black and White Freezer Fudge recipe! There are cupcakes and lemon “cheesecake”, too, which take a few minutes more but are again, well worth it! Glo-bars, cookies, sorbets, staples…you really cannot go wrong ordering this new book. Its on sale on Amazon right now, I would say go for it! Sorry for the spelling errors…! Wow! Somebody woke up passive-aggressive. 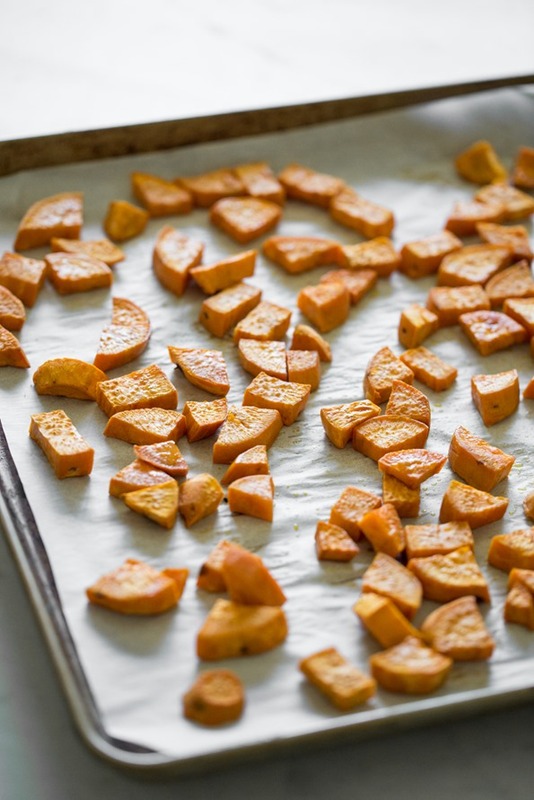 I will be making these today (roasted the sweet potatoes already while cooking breakfast). Over the years so many Oh She Glows recipes have become staples in my kitchen BECAUSE of they’re not complicated and taste amazing. As a mother of 2 boys (a very needy 2 year old and soon to be 7 year old) my time in the kitchen has to count. Making a recipe from this blog or the first cookbook never disappoints. Thank you Angela for devoting your time in perfecting all the recipes you share and publish. I’ve been counting down the days until your new cookbook arrives! We’ve been hosting a weight loss challenge at our boxing gym and so many clients have fallen in love with your recipes this month- the Spiced Lentil Soup and Next Level Enchiladas have been game changers for even the biggest skeptics. Later this month I’ll be doing a fall preview cooking demo featuring the Lentil Loaf, Raw Cashew Pumpkin Pie (from the first cookbook), and Crowd Pleasing Caesar Salad…plus something from the new cookbook. So excited for you with the new baby and book coming this fall! These look so good! Congrats on the book and the giveaway sounds great! These burgers look delicious and I can’t wait to try them! My husband doesn’t tolerate black beans very well though. Is there another type of bean that I could try in this recipe? I’ve ordered your new cookbook and I’m counting the days until it arrives! Hey Jane, Great question! I do think you could use another type of bean – kidney or cannellini beans come to mind as good options (although I have yet to try this out yet!) Please let us know if you try anything out! I just made them with kidney beans and it worked out fine. I often exchange kidney beans for black beans (almost impossible to get hold of where I live) and it has always worked out with Angela’s recipes. These look so amazing. I had everything on hand to make them so I prepared the patties and they’re in the fridge ready to be popped in the oven for dinner! I really didn’t think these were too much work at all! 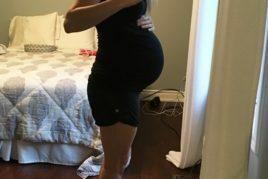 I’m currently 7 weeks pregnant and for the last few weeks the idea of meat is so off putting for some reason. (I’m not a vegan but of course enjoy vegan meals occasionally) So making anything from your list of recipes is awesome for me right now! Thank you for posting this recipe! Congrats on your new cookbook, I’m looking forward to picking it up soon. These certainly are OH EM GEEEE inducing!!! Loooooove the addition of walnuts in veggie burgers! Hi Angela, I just pre-ordered your book and am looking forward to getting it next week. These look great, and since I’m a fan of the burgers from your first book, I’m sure I’ll love these too! I have a question about parchment paper vs. silicone mats: I have been using silicone mats to try and reduce the amount of oil I use, but I’m finding it isn’t easy to get things to brown as well on the mats. Have you had any experience with using silicone mats for roasting veggies? I notice that you seem to always use parchment paper. Anyone else have any thoughts? Hey Cyndi, I do have a couple silicone mats, but I tend to use them only for rolling out pastry and cookie dough. I found that roasting times can vary when using the silicone mats, so I switched back to parchment when creating recipes in hopes that I would be providing the most accurate time estimates. Maybe someone else can weigh in about your browning issue as I am not sure. Thanks so much for your kind words- I hope you love the book! I made these today for the family Labor Day gathering and they were delicious. The meat-eaters enjoyed them too. I made them up in the morning, baked them for ~25 min, then put them in the fridge after they cooled. We re-warmed them on the grill (medium heat), approx 3 min/side and they held together fine. A success! By the way, this recipe is flexible (Yay!). I didn’t have any bread crumbs, so I just processed some multi-grain crusty bread into crumbs, and oops, I didn’t feel like making 2T of oat flour, so omitted it – it was all good and worked fine. Thanks for the recipe! That’s so great to know – thanks for sharing, Cyndi!! hi! Have you got an Australian release date? Can’t wait to get my hands on this book! You use parchemin paper, do you know that this is not healthy ? as it release some chemicals ( used for nonstick) in the food with heat. These look amazing! Love the combo of walnuts and black beans and can’t wait to try. Thanks! Hope you enjoy them when you get a chance to give them a whirl, Christine! These look and sound delicious. Wishing your little a speedy recovery. So hard to see them I’ll. ? Thanks, Bobbye. We appreciate the get-well wishes! Confession; I can’t afford your book right now B U T, I requested the library buy it and they said they will. So, now not only is that one more sold, but others will be exposed to your beautiful creativity if they are seeking a plant based diet. That’s so wonderful to hear, Jill! Thanks for spreading the Oh She Glows love. :) I hope you, and anyone else who checks it out of the library, enjoy the new book! Fellow Jill, thanks for this idea of having the library order the book (just checked and my library has ordered it and I placed a Hold.) I was planning on asking for the book for Christmas, but look forward to getting a ‘peek’ at it sooner. Yay! Hi Angela. These look great. I have a question about the sweet potato – in the directions you write that it works out to about 4 cups, but when making the parties you only use 2 cups of cooked potato. Is this because you are accounting for some “shrinkage” during the cooking process? Hehe. Thanks in advance!! I love your first book and can’t wait to buy the second. Thanks Melanie! Yes, you are totally correct…there’s shrinkage! haha. 4 cups raw translates to just over 2 cups cooked. I hope this helps clarify. Feel free to make extra and serve it alongside the burgers. Pre-ordered your new book and submitted for the bonus recipes bundle but still don’t see it. Already checked junk and spam. Even emailed to the address listed on the submission form regarding the issue and still nothing! So disappointed! Hey Sherry, I’m so sorry to hear you’ve had trouble receiving the bundle! After you submit the form, there’s a link that you click to open the bundle and then you can save it to your computer. (The bundle is not emailed to you so it would be in your spam or inbox). I would suggest resubmitting the form and trying again (maybe try a different computer or browser). If you still have issues please contact [email protected] and they should reply within a couple business days. Thanks so much! I prepped this burgers for my upcoming cottage weekend and basically, I made them without baking them, separated them using parchment paper and placed them in an airtight container. I plan on baking them tomorrow or Saturday so hopefully this works out well! Thanks for this recipe, I was already picking at the “dough” and it tasted DELICIOUS!!! After freeze prepping them this way, I was able to cook them up easily using the BBQ and believe it or not – DELICIOUS! Excellent cottage/ summer food! Can’t wait to try the vege burgers. Hope your child is better lickety split !? What is your juicer of choice? Thanks for the well wishes, Fritzi! In terms of juicers, I love my OXO double-sided citrus juicer. It’s small, nonelectric, and dishwasher-friendly. It does a great job collecting all the juice in a container while keeping out most of the pulp and seeds. I’ve had it for years! You can check it out in my favourite things list on Amazon here. These look so delicious and can’t wait to make them. I’m wondering if you think I can substitute oats (or something else?) for the breadcrumbs. I have all the other ingredients at home most of the time, which is the main reason I’m asking, not that I’m gluten free. Thanks! Hi Jane, I haven’t tested anything besides breadcrumbs in this burger yet unfortunately. They work well to absorb excess moisture and provide a great texture. If you try anything else out please let us know how it goes! So I am one of the laziest cooks in the world, but I LOVE veggie burgers. You think canned pumpkin would work as a substitute for the mashed sweet potato or butternut squash? If I can skip a roasting step, I will always opt for it (especially in my hot & tiny kitchen)! Can’t wait to try these, Angela! You’ve converted my boyfriend into a veggie burger lover with your Thai Sweet Potato burgers, and these look just as good :) Looking forward to your new cookbook! It’s so great to hear you’re still enjoying my first cookbook, Caroline! I hope you love the next one just as much, too. I’d love to hear what you think if you give these burgers a try! Hope all is well with you! Noticed that your “the glowspot” instagram page hasn’t been updated for awhile, and believe me, I understand that you are busy! But have I missed something? Have you decided not to post on that anymore? I just wanted to say that I do miss those little glimpses into your life – not to sound too creepy! lol I always admired your beautiful house and cute outfits and of course, the darling pics of your little one. Mine is 5 already and starts kindergarten next week. :( They grow too fast. PS I made your apple pie oatmeal for lunch today and was thinking of how many good things have made their way into my kitchen because of you! Thanks! Aw thank you Sandy!! You are so sweet. I have really fallen in love with Snapchat and Instagram stories (using my OSG account) for sharing “behind the scenes” glimpses into my life, and just found it hard to juggle theglowspot account at the same time. :) Hopefully you can find me on there! I hope your little one’s transition to kindergarten went well. Hi Michele, great question! The recipe calls for 4 cups of uncooked sweet potato because there’s a bit of “shrinkage” that occurs when it cooks. So 4 cups raw translates to just over 2 cups cooked. I hope this helps clarify! I love to make extra and serve it alongside the burgers. The third?! It should be out today then! I’m gonna go look for it at the store! I’m trying really hard to not spend any unnecessary money this month. But I can’t not get your book. Thanks so much for sharing the OSG love, Michelle! I hope you enjoy the new cookbook just as much as the first. I just got ur book!!! Yay! It’s beautiful. And for the price it’s quite the bargain considering the paper it was printed on and how big it is. Beautiful!! Your but-free dream bars immediately caught my eyes since without the nuts on top looks just like a Nanaimo bar! Could I use these as a Nanaimo bar replacement at Christmas time? Or is the flavour completely different? I like to look for healthier alternatives when I do Christmas baking because I don’t want to hate myself when the holidays are over. Hi Karen, I’m so happy you’re loving the book so far! Thank you for the kind words. :) You’re right that the Nut-Free Dream Bars are very reminiscent of naniamo bars in their 3-layer construction and texture. 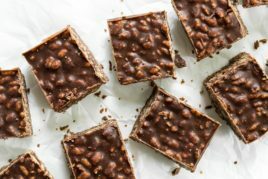 I think you’ll find their filling tastes much different than that of the classic nanaimo bar, but since filling variations (like peanut butter, cappuccino, and cherry) are becoming more and more popular anyways, I’d say these bars could definitely have a place on your holiday spread! Love this post – the burgers look divine and are beautifully photographed! Your new cookbook shipped today to me in Iowa! Woohoo! So exciting, Julianne! I hope you love it. These are AMAZING! I made some adjustments based on what I had in my pantry (1 can black beans, 1 can chickpeas; AP flour) and ease (toasted the walnuts whole and chopped in the food processor, cut the sweet potato in eights and whizzed in the food processor) but they still turned out great! Not only do I love the flavor but the dough is really easy to work with. Not crumbly or smushy like a lot of recipes I make. Definitely some of the best veggie burgers I’ve ever made!! Thanks, Angela! I am not sure what you did with the sweet potatoes? Cut them in 8, whizzed them in the fp and then added them to the mixture raw???……. Yes, I guess that as unclear. I just meant that I cut the sweet potato into eighth instead of dicing, but I still baked them according to the recipe. Then I pureed them in the food processor instead of mashing them by hand. It just saved me some time and effort so I could get dinner on the table faster! Thx so much for straightening that out for me. I’m so glad you liked the recipe, Jennifer – and thanks for sharing your subs! They seem so delicious! Thanks for the recipe! Hi Angela, I have been a vegetarian for 25 years and thanks to your first cookbook I am proud to say I have been a vegan since purchasing it when it first came out. I bought your new cookbook online so have to wait a few weeks for it. Went to Costco yesterday and they had loads of them, so hard not to buy another one. From what I saw I can’t wait to get it! On a side note I have always wanted to send you a response when you got so much flack about how you are raising your daughter. I have two girls and I did not raise them as vegetarians(my husband eats meat). My 15 yr old went vegetarian 3 years ago and my 13 yr old 2 years ago. All their own choice with no pressure from myself. I will always wonder if they would have made this choice had I not been one but I will never know. You have no idea how happy their choice makes me, but again it was their choice, not mine! You and your family are amazing and inspiring! I can’t wait for your new cook book!!!! Hi Angela, could you recommend a good (non-toxic) fry pan? It appears you have used one for your pancakes, and beans/pesto/greens recipes, etc. Thank You!!! Your burgers are beyond amazing. I am extremely thankful for your blog and your ongoing efforts. Your blog and book have been amazing resources for me with respect to vegan cooking. I developed many food allergies and amongst the allergies, I became allergic to meat of all things. I have not eaten it for 2 years now. I lost 40 pounds, became very active and have not even caught a cold. It was your blog that helped me and I don’t miss my old diet at all, except for nachos. Thank you so much for all your hard work. It is priceless for many of us. Hope the little one is on the mend. These veggie burgers look incredible!! Congratulations on your book release in Canada and SO exciting that your book is coming out in the US tomorrow!!! Was browsing Chapters yesterday and I bought your new book :) It is so beautiful! Also, made these burgers last night and they were delicious. Thanks for all that you do! Hi Angela! I have a question not related to this recipe: how long can you freeze homemade larabars? I would appreciate some tips or help in leading me he right way. Thanks! Hey Amanda, I’d say my homemade larabars keep in the fridge for 2-3 weeks—though they’re rarely around that long in our house!—or 4-6 weeks in the freezer (I generally try not to store frozen for too much longer than that, because I find I’m sensitive to freezer burn taste; if you have a deep freeze, you can probably get away with storing the bars at the longer end of that range, however). For on-the-go, I recommend wrapping the bars individually in plastic wrap or tinfoil so you can easily grab one on the way out the door. You can also use freezer-safe zip-top bags for storage. I try to rinse and reuse the bags when I’m done with them to cut down on waste and save money. Hope this helps!! My book has shipped and I can’t wait for it to arrive! Aw, I’m so glad the burgers were such a hit, Diandra. Thanks for leaving this a lovely comment – it brought a smile to my face! Oh She Glows Every Day just arrived in my mail! It’s beautiful, and I can’t wait to start cooking from it! Thanks, Kathy!! I hope you enjoy the book. I met the mailwoman at the door today because I knew your new book was arriving. It’s just beautiful Angela!! I can’t wait to dig into it over the next few days and *try* to decide which recipes to start with. Congratulations!! It’s here! It’s here! Can’t wait to try this recipe first! Congratulations, Angela!! Hi. Just bought your book today at Chapters. I made the eggplant parm tonight. Really tasty and I particularly liked the vegan parmesan. Is it possible to add a touch of oil to the parchment or to mist it on top for a moister crumb? Thanks again for showing us Ontarians that we can make great veggie meals even during the long winter months when produce is less than fresh. Hey Kristen, Thanks for your kind words. :) That’s an interesting question! I’m sorry, but I really don’t know as I haven’t tried it myself. If you try anything, please report back and let us know how it goes! Unfortunately I had to go to work before my copy arrived in the mail; suffice it to say, I was very eager to get home and get my hands on it! I stayed up until the wee hours of the morning reading it cover to cover. And I was blown away. It is absolutely gorgeous, Angela. The layout, the photos, the recipes (or course) are all perfect. I can’t wait to cook my way through it (I have so many recipes I plan on making ASAP!). I wish you a million congrats and success on it. Thank you for another wonderful whole-foods plant-based cookbook. I take pride in bringing any of your recipes to a potluck/cookout/party as I know everyone is going to love them. Thank you again! I made these last night! Maybe a little time consuming but worth every minute. I just finished one for lunch with a little Sriracha mayo to dip in. I didn’t have any oat flour so omitted it. I also used Sriracha BBQ sauce so mine definitely have a kick, and a lovely one at that. These are absolutely delish, nice job! These look wonderful! I was wondering if you have any suggestions for swapping out the black beans for another ingredient (extra sweet potato or rice perhaps?) I do not tolerate legumes well (beans and lentils especially), but I would love to have these be my staple veggie burger if I can find a way to exclude the beans. Thanks so much! Hey Lauren, I’m sorry, but I don’t know a substitute for the beans. My guess is that using more sweet potato might make the burgers a bit mushy? It would take some experimentation for sure! If you try anything, please report back and let us know how it goes! These veggie burgers were amazing! I made them grain free by subbing almond meal for the bread crumbs. They held together just fine! The flavors worked so well together. These will be my new go to recipe for veggie burgers. My only regret was I cut the recipe in half so now I have to make them again soon! I haven’t made a recipe of yours that I didn’t absolutely love! Hi, Angela! Thanks for this great recipe! I made those today and they were great! Just changed the walnuts for a mixture of almonds and cashews (my favorite nuts). I looove your first cookbook – I was in Canada when it was published! – and I can’t wait to buy the second one! I wish you a lot of success with it, you deserve it!! Angela!! I seriously love your book! Every recipe that I’ve made my family has gone gung-ho! So I’ve made them all twice (not litteraly all of them) cuz they will not stop asking!! Anyone who wants to head on over to my blog – Mandy’s Healthy Life, can enter to win a copy of this new book! I am so lucky to feature Angela on my blog. We did a Q&A, share some darn good recipes and have the cookbook give away!! So sweet!! Thanks Ang for making plant based food so delicious, cool, and fun!!! You rock!! I love your cookbook, and will definitely get the second one. Just wondering if some of your recipes can be used with an Instant Pot pressure cooker? 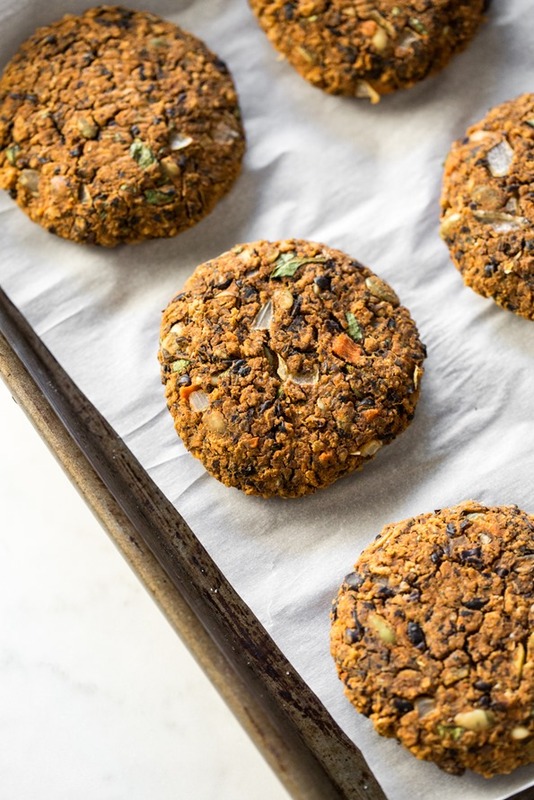 OMG, these delicious sweet potato lentil patties look wonderful! I cannot wait to read your new cookbook! I had ordered your new cookbook and received the link to download the recipe bundle but downloaded the PDF while at work not realizing the file was too large for me to email to my home address. Is there any chance if I post/email my order number I can get a new link to download at home? Let me know! P.S. The new cookbook arrived on Tuesday and I’ve already gotten into four recipes- LOVE it! Just bought your newest cookbook and finished reading it! Didn’t see one recipe that thought yeah I don’t think I’ll make that! So excited to get cooking and tasting all of these yummy healthy recipes! I have read your blog for years and tried re pies so I know there are all going to be great! OMG is right!! I made two recipes from OSG Every Day this weekend, and I can’t tell you how excited I was about both! For one thing, I love love love your “perfect” veggie burger from a few years back on the blog, but I’ve been looking for an all-purpose burger that’s a little more “fun.” THIS IS IT! The addition of bbq sauce and all the yummy spices takes it over the top. Genius idea to roast the sweet potato, because removing some of its liquid made for ultimate binding power…I’ve never had such an easy time forming veggie burgers. We will be eating these leftover all week! I also made the flourless PB cookies, and I basically feel like I’m eating a reese’s cup with every bite :D I actually think I could reduce the sugar slightly next time and they would be equally delicious…and I would feel a little less guilty crumbling one over my smoothie (which I may or may not be doing right now). The book is sooooo beautiful to boot! Congrats!!!! Definitely my favourite veggie burger recipe! These are amazing. I mostly gave up on veggie burgers years ago because they are never good, but these are sooooooo good. Company-worthy. I omitted the onion because I didn’t have one, I used pepitas instead of walnuts, and I used one can of black beans and one can of pinto beans. I will make these again. oh no! I was meaning to purchase the book early so I could get your recipe bonus bundle but time has slipped away. Is there any way to still purchase the bonus bundle? Hey Christine, We’ve extended the bonus bundle’s availability to Sept. 25th, so it’s not too late to enter your purchase info into the form to get your hands on it! These veggie burger look absolutely delicious. 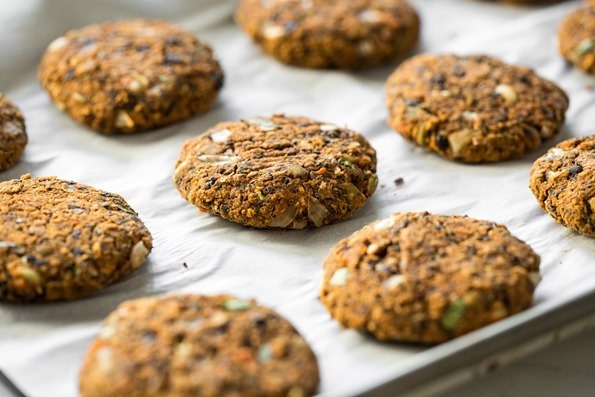 I’ve made a previous veggie burger recipe of yours, and they were SO good, so I need to try these soon. If you give these a try, I hope you love them just as much! 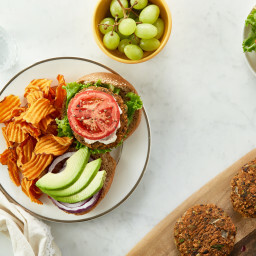 This recipe seems to be a delightful veggie burger I will try this one in my kitchen today with some extra spices in it. I hope you like it, Sarah! If you try them, I hope you enjoy!! I made my first recipe from your new book last night. Which I picked up at B&N the first day it was out here in the states. In fact the store clerk had to go to the back and get the books out of the box, they weren’t out yet! These burgers were terrific! I had them on a whole grain bun with a bit of vegan mayo, ketchup, red onion, lettuce, pickle and tomato. Oh and avocado. Because avocado makes everything better. as someone who is not a full time vegan, I definitely did not miss the meat. I will make these again. These were great, Angela! They actually held together which is a difficult thing to achieve in veggie burger world. I am curious if you also tested this with a baked sweet potato? It’s just easier to throw in a potato to bake than to cube it and roast it. I’m not sure if that would give a softer consistency. Congrats on the new cookbook! I am working my way through it!? I made these last night and had to comment– they are hands down the *best* veggie burgers I have ever eaten. Angela, you are a veggie burger maven! Hi Angela! The new cookbook is amazing! I’ve made a number of the recipes already and my husband and 11 month old daughter are loving them! Her favorite was the Thai Sweet Potato and Carrot Soup believe it or not. I’d love to try this recipe, but I’m not a fan of barbecue sauce…is there something else I could substitute with? Would plain ketchup be ok maybe? Thanks for your help! I am making these awesome looking burgers today and wanted to add the homemade barbecue sauce you suggest. When you say 1 cup tomato sauce, what do you mean? Ketchup, paste? I am a huge fan! These are great!! I just bought the app and am trying to figure out how to get the recipes from the app into Real Plans, an app for meal planning. I can import from the website, but I would love to use some of the recipes from the app. Any ideas? Your perfect veggie burger has been a hit with my vegetarians/vegans for ages! We love it, and it’s not difficult. I’ll definitely give these a try! Thanks for sharing your delicious recipes! Aw, thanks for the lovely comment, Cecily. If you try these new burgers, I hope you love them just as much! We could not wait to try these out in the IndyChef kitchen – They were truly delicious and did not last long at home either! We cannot wait to try more of your recipes. Thank you!! These Oh Em Gee burgers are absolutely amazing! Thank you Angela for yet another amazing recipe. Honestly the hardest part of owning your books and reading your blog is narrowing down what to cook each week because they are all so delicious. I haven’t had a recipe go wrong yet. Congratulations on beautiful baby Arlo as well. He is so cute. We made these burgers a while back and they were a big hit! We had frozen the leftovers, and when we reheated them this weekend.. We were blown away by how easily and deliciously they came together. Super excited to pick up your new cookbook. Keep up the great work, we enjoy the recipes of both your cookbooks very much! This recipe looks really good. We eat mostly Paleo, but have been looking for more vegetarian options to reduce our meat consumption. I’ll put this on the calendar! Thanks! I’ve tried out a lot of vegan burger recipes and this is my absolute favorite. I love that I can make a dozen at a time and bake them off in the oven, and my family went crazy for the flavor of the burger combined with a simple BBQ/veganaise sauce I mixed up to go with them. This burger is by far the best vegan burger I’ve made. The texture was good, the flavor was great. I think this will be my go-to burger from now on. It also freezes well. Oh, I’m so happy (and flattered) to hear that, Roxanne! :) Glad you like the recipe…we definitely love it. I looked for it and couldn’t find anything on how much protein and total calories are in a patty if it were 12 patties in a batch. Since these are burgers I would like to know the protein content. Hi Patrick, you can find this nutritional info here. Hope this helps! Definitely, Rebecca! I love that this recipe makes a big enough batch that I can freeze some patties for later. :) I suggest you wrap them individually in aluminum foil, and place in a freezer bag with the air sucked out. They’ll store well for 3 to 4 weeks. Thaw completely on the counter or in the fridge before reheating in a greased skillet over medium-high heat for a few minutes on each side. I have an admitted cookbook problem. As a result I told myself I would not buy your new cookbook despite the fact I have and love your first book (I’ve cooked nearly everything in it with the exception of some of the desserts). That said, I broke down and bought it, and I’ve been cooking almost exclusively from it over the last few weeks. OMG! I’m in love. Already the Shepherd’s Pie and Bolognese are now part of my standard recipes for these chilly autumn and upcoming winter evenings. Thank you so much for continuing your work and for the wonderful book that I’ve made room for on my shelf. I look forward to continuing cooking through it and discovering more of your wonderful recipes. Please could you tell me if this burger recipie could be adapted to make it raw? Thanks. Has anyone attempted subbing oats in for the breadcrumbs? Looks very tasty, thank you! Hi Catherine, I haven’t tested anything besides breadcrumbs in this burger yet, unfortunately. They work well to absorb excess moisture and provide a great texture. 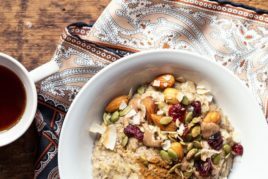 If you try oats out, please let us know how it goes! I’d love to hear back. These look fantastic! We are always looking for ways to help picky eaters get more veggies in. Feeling so similar to a regular burger, I think this would be an easy place to start – especially with kids as you said. Thanks for the great recipe! I made the burgers tonight and they were delicious. Angela if I’m using dried beans do you know how many cooked cups I will need? I think I added too many beans to my recipe. Many thanks. Tip: Try making them on an airfryer! It will taste the same and will be much better and easier to prep. Unfortunately Mine seemed a bit wet and didn’t turn out great in the oven, as didnt hold their shape well so i had to overcook them to hold, which made them dry :( shame because the flavour of them is great! I have alot of mix left, i think ill add more flour to them. Could i fry them instead? I love your recipes. Have both your cookbooks, Angela. I have tried a lot of them with pleasing results. My question on this one is; can you replace the beans for chickpeas? Hi Adriel, Apologies for the delayed response on this! I have yet to try a bean substitution out, so I’m not 100% sure how chickpeas would work. Kidney or cannellini beans come to mind as good options, too. If you’ve experimented, I’d love to hear how it turned out! Dear Angela, I love your blog since I have discovered it a few years ago. This Friday night, I made those burgers. I modified the recipe a bit because I could not get sweet potatoes at my grocery store, so I have used regular ones. I also exchanged the oat flour for regular flour. The burgers were supertasty, even if the first batch (i had to bake them in two batches) did not hold so well. I think it was because the mixture was too dry. I added some water for the second batch and it worked out better. 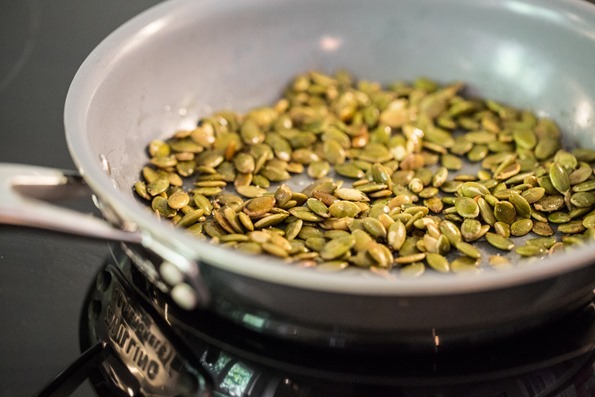 Next time, I will try to chop the roasted sunflower seeds in the food processor before I add them to the mixture, because I think this might also help with holding the burgers together. Last but not least, I also like their taste when they are cold, so they are a great new option for my lunchbag. Thank you for this great recipe and a happy new year to you and your family! BEST BURGER EVER!! Even my meat loving husband prefers these! Oh, I’m so thrilled to hear that, Lyndsay! What a great story, Stephanie! Love it. Thank you so much for sharing, I’m smiling ear to ear. These were the first veggie burgers I’ve made and I loved them. I roasted 3 medium sized sweet potatoes and had about 1 cup of leftover roasted potato. I threw together a scaled down mixture of the listed spices to make your spice mix and just subbed whole wheat flour for oat flour as I didn’t have oat flour on hand or ready. Other than that, I followed the recipe to a T. My boyfriend also loved these! Recipe was easy and clear to follow, a bit of prep work but definitely worth it for the quality and quantity of food. Served on wheat buns with mashed avocado, mayo, red onion, spinach and homemade bell pepper relish. Great recipe! Very filling. Oh em gee, so excited to try these burgers! 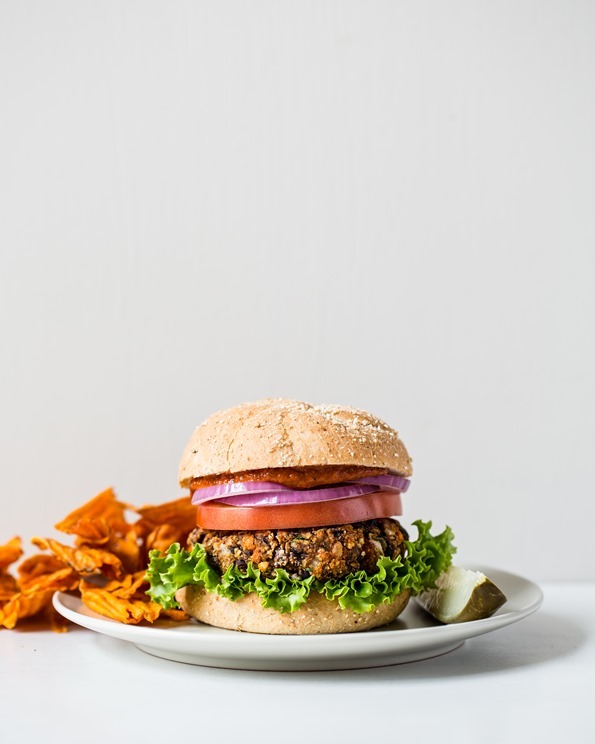 We’ve recently tried to live a more plant-based lifestyle at home and on the blog and have been looking for the perfect veggie burger Can’t wait to get our hands on these! I hope you love them once you get a chance to give them a try! Is is possible that there is an error in the quantity of garlic and 9 spice mix recommended for the oh em gee burgers in your new cookbook? I’m enjoying your recipes so much, but am starting this one now and wondering if the garlic and 9 spice mix quantities should be teaspoons not tablespoons? Many thanks! Hi Janice, Thanks for your question, and sorry I’m getting back to you so very late on this. The quantities in tablespoons is correct, I promise! I hope you enjoy the burgers! I made these last night. They where so good! I am having one this morning for breakfast as well. I like using your recipe for the cilantro avocado sauce on them as well. Oh, I’m so happy to hear you enjoyed the burgers, Kristie! I just ate two of these (just the patties) with a whole avocado on top and bbq sauce and it was the best lunch I’ve had in a long time. Hi there! I’d like to try this recipe, but I have a family member who hates the flavor of barbecue sauce. Do you have any suggestions on what to substitute for it? Thanks! Hi Kristin, I haven’t tried this before, but maybe ketchup? Or half BBQ sauce and half ketchup to mute the BBQ flavours a bit? Please let us know if you try anything out! Angela, I made these last night for the Super Bowl and the guys all LOVED them! What a fantastic recipe. I recently gave up beef and have been looking for a hearty, flavorful burger. This is certainly one that I will share with others. I wanted to also ask if you would be interested in supporting my non-profit, Hold the Beef campaign. The proceeds go to The Climate Reality Project and the hope is to gain attention to the cattle industry’s impact on climate change. I would love your help and support! This recipe looks delicious and I can’t wait to try it! Burgers are some of my favourite things, especially on a nice summer day. ? I made these last week and they were so good!!! I loved the taste of the walnuts the most. So pleased to hear you enjoyed the burgers, Tori! Hi!! I just found your website and am loving it so far! I plan to purchase your cookbook tomorrow :) Do you use gluten free buns for these burgers? Or do you eat yours it without the bun? Just trying to figure out GF options! Thanks! hank you Ashlee! I hope you love the book. :) I don’t eat a lot of bread, but when I do I buy vegan/gluten-free buns or spelt buns (I love spelt!). Sadly I don’t know the brand off heart. What I’ve been doing lately is using raw flax wraps with veggie burgers. I find them in the fridge or freezer section of my grocery store. You can also try using collard leaves or lettuce for a grain-free wrap. Hope this helps! Can black beans be replaced with something other? Which bean replacement would be the best alternative. You may have answered this already somewhere…..
You’re too sweet! Seeing comment brought a huge smile to my face. Thank you! I love these. They are by far my favorite veggie burger, and I’ve tried a lot of recipes. The flavor and texture is spot on. I love making mine with pepitas. They recipe does have multiple steps but it’s not too much and definitely worth the effort. It makes a huge batch so I freeze leftovers. The are great in your lunch with mixed greens. I just break it up into smaller pieces. Love the cookbook as well! I bet the basil was a lovely touch, Dana! I’m happy to hear they were a hit, Bonnie! I hope you enjoyed them, Anja! Thanks so much for another great recipe! You have made my vegan life-choice possible. Did you know that these burgers are good cold? I needed a quick, cold lunch today, and thought, well, I don’t have time to heat the burger, I’ll try it cold. Super Yum! I think I might even like it better than warm. Thanks for the glowing review, Kaydee! I’m so happy to hear you love the recipe. Happy BBQ season, to you! Like the name suggests, these are really OMG burgers. So good. It seems like with every recipe I try, I’m still surprised by how well everything turns out. Then I taste it, and there’s a silent ‘oh Angela, you did it again’. Aw, I’m so pleased to hear this recipe was a hit, Alice! We are starting to embrace a less meat filled lifestyle and I made these for lunch today- the name doesn’t exaggerate. These are boyfriend approved and easily one of the best veggie burgers I’ve had. Your cookbook is inspiring and so far, it’s been foolproof for us! Thank you! I’m so happy these were a hit, Nicole! Thanks so much for the warm words about the cookbook. I hope you enjoy the next recipe you try just as much! Just started our plant-based journey – what a great way to start! Delicious and fun to make. I made a half batch, but next time will make it all. My husband loved these too! That’s great that the husband liked them!!! :) I think I’m going to give These a try! These were so good! Just wondering if anyone has tried grilling them? Hi Julia, Thanks for your question! Both measurements are correct, really. While you’ll begin by roasting approximately 4 cups of sweet potato, once it’s cooked you’ll be measuring out 2 lightly packed cups (in step 6). This is because there’s a bit of “shrinkage” that occurs when sweet potato cooks, so 4 cups raw translates to just over 2 cups cooked. You’ll likely end up with a bit of extra roasted potato, which I love to serve alongside the burgers. Hope this helps clarify! My Oh Em Gee burgers fell apart. Crumbled. They were really hard to pack together so I am thinking something wasn’t mashed enough or something was too dry? What did I do wrong? Hey Sydney, Oh I’m so sorry to hear that! My guess is that the burgers weren’t mashed enough like you suggested, and the patties also have to be tightly packed together when you shape them. I hope those crumbles were still tasty…I would suggest throwing them onto a salad…delish! I loOove your new healthy cooking videos! These are AMAZING! A new family fav. I’m so happy to hear that Vanessa! It’s the first day of Summer in Australia—definitely burger weather. I made these tonight on a whim, and they were fantastic. Husband and 4 year seal of approval. Thank you for a seriously terrific recipe! haha Sarah, I’m the same way with eating the dough. It’s just too good, right? I’m so happy you love these so much! Thanks so much for letting me know. :) HAPPY SUMMER! This is a great burger. They are super-easy to make, which I love, and held together perfectly! Even the last burger I formed held together like the rest of them – something that doesn’t always happen for me (for some reason, the last ones with other recipes seems to be all the dry bits left in the mixing bowl). I actually didn’t use the oat flour – I used beans I made at home, which seem to me to be a bit drier than canned beans, so maybe that is why. I also used the bread crumb “recipe” from your first cookbook for the first time (those also came out perfectly! I had been skeptical – sorry). I left some chunks of sweet potato, which were cool to bite into in the burger! I had a hard time putting anything on the burger because I just wanted to taste the burger and nothing else – seriously good. The recipe is also easily halved – that batch was perfect, too. And your freezing and reheating instructions worked out really well. I’m making my way through your second cookbook, which I got for Christmas – my goal is to make everything by year’s end. I don’t think this is going to be difficult. Thank you, Angela! Hey Laura, Oh that’s such a great goal to make all the recipes by year end. Love it. :) And thanks for the awesome veggie burger feedback! I really need to be able to freeze these burgers either before or after they are cooked. There is only my husband and I to eat them tonight. What do you suggest? Cannot wait to try them. Hey there, I like to cook them as directed, cool the burgers, and then tightly wrap before freezing. Then I will thaw in the fridge overnight or on the counter, and skillet fry the burgers in oil to reheat. I just had to go back and find your post on these – I make this recipe from your cookbook at least once a month, so that I always have some burger patties in the freezer in case of a last minute meal. We actually love popping these in some pita bread with whatever random sauces and veggies we have flying around in the fridge. Truely, one of my all time fave recipes of yours, or anybody else for that matter. Hey Kathrin, Aww thank you so much! I’m so happy you love them as much as we do. They’re my fave veg. burgers to date :) I hear you on adding all kinds of random sauces and toppings too! The more the better, right? We LOVE these burgers. They are my go to Veggie burger recipe. Once they are cooked in the oven and firm up, can you grill them on the BBQ to give them that BBQ flavour? yes you can parbake them and then finish on the grill. I would bake for about 20 mins in the oven and then 5-8 on the grill maybe? It’s been a while since I’ve done it so I can’t exactly remember the times. Hi Angela – first and foremost I absolutely love your cookbook!!! And the Oh Em Gee burgers are to die for. The best veggie burger I have ever had!! Just a quick question – I want to make a double batch of these so I can freeze some of the patties after they are made. Any tips for making a double batch (is it just simply doubling up on ingredients) or freezing them? Thank you!! Hey Gillian, thank you so much! The Oh Em Gee Veggie Burgers are a hit around here too. You can certainly double up on this recipe…I wouldn’t blame you. ;) And the burgers freeze beautifully! I prefer to freeze the patties once cooked and cooled. Once the cooked burgers have cooled completely, I wrap each burger individually and then place them all in a large freezer-safe zip bag. I press out as much air as I can, zip it up, and freeze for up to 4 weeks. You can thaw individual burgers in the fridge or on the counter and then reheat in a skillet. If I know I’ll be freezing the burgers, sometimes I’ll cook them a few minutes less just to ensure they don’t dry out during the freezing/reheating process. Enjoy! Can I make a batch and freeze them for later use?